What an amazing night. We’d had hints from the YouGov and Survation polls that things were going to be close, but even those who allowed a few meagre rays of hope into their hearts were haunted by the memories of so many times the pollsters were wrong. And not forgetting that a good chunk of polling opinion still indicated the Tories could look forward to commanding a thumping majority in the House. There are so many things that can be written about the 2017 general election, but more on trying to understand the return of two-party politics, the battering the SNP took in Scotland, and the Tories’ love-in with the Democratic Unionists later. Right now I want to focus on the result itself or, rather, why so many pundits got this election completely wrong. On one level, it’s obvious. Your Dan Hodges, Andrew Rawnsleys, Laura Kuenssbergs and practically everyone who has a berth in broadcast and print media didn’t have all the facts, and then didn’t join them up the right way. What they sorely lacked, and why they get caught out regularly is because they do not have a sociological imagination. That is the simple but obvious (and yet overlooked) idea that society consists of and is constituted by dense webs of social relationships, and their influence effectively makes us as individuals (or subjects, if you insist on the parlance). And, of course, these relationships are configured in particular ways and certain types of them exert greater weight than others. The role of sociology is to untangle these dynamics and produce research projects and theories aimed at trying to understand how they work. What you then do with such knowledge is the subject of much debate, but as far as I’m concerned it’s about providing theory and analysis the labour movement finds useful so it can meet socialist objectives. The diagnosis of one problem begs another. While commentators and pundits are, in general, intelligent (with some notorious exceptions) and quite capable of reading books, why have none of them cottoned onto the fact that a) political parties are coalitions of strata of forces and interests, b) that political parties reflect deep underlying structural principles that organise broad swathes of social life and impact on all of it in some way, and c) when there is movement among these forces, political parties and votes at election time express them? It’s not because they’re especially ignorant, nor that the ideas of political sociology are particularly difficult or airy-fairy: it has everything to do with the situation they find themselves in. Consider this, for example. I felt very optimistic before going into last night’s results, despite past experience telling me to keep a hard head. Disappointment was the default setting of socialist politics often times in recent years. Yet the optimism kept bouncing back, despite trying to shut it down. Why? I’m plugged into my social media echo chamber like everyone else, so that had an effect. At work, being surrounded by Labour supporters enthused by the campaign, that had an effect. Speaking to friends and acquaintances who have never voted before but were going to turn out for Labour, that had an effect. And lastly speaking regularly to students, most of whom take much more of an interest in politics than was the case for my generation at university, that had an effect. And you cannot discount the campaigning, especially that first weekend of the dementia tax where I saw previously sceptical voters (don’t knows and againsts) all coming to Labour, that cannot but have an effect. It’s a case of my being, i.e. what I do and who I come into contact with in everyday life, conditioning my consciousness. This works on all of us, all of the time, all our lives. This focus is also bounded by the media the commentators produce. Famously, the BBC take its lead for what the hot politics stories are from the front pages of the broadsheets. Likewise, hacks in other operations parasite off the BBC and each other to fill the schedules, put stuff out, and the insatiable appetite for hot takes. The result is little time for thinking, a scramble for a story or an original angle, and a tendency toward herding thanks to the recursive universe generated from the quantum foam of chatter. It produces a mode of thought that is based entirely on appearance without trying to understand what my lie behind what immediately presents itself. For instance, the Tories are the new party of the working class because minimum wage rises. Labour’s members have foisted the disaster onto the party because atomised members of the public tell focus groups. There is no sense of movement, little idea that parties as expressions of interest evolve and move, nor that the people who support them, actively or passively, have connections with multitudes of normal people that can pull, persuade, cajole masses of them and transform them into a collective that starts making its own history. As none of them regularly go on the doors outside of the capital, they have to rely on what the pollsters tell them and, as we saw last night, only two of the established firms come out of the election with any sort of credit. The worldview of the pundits then is a distorted view, and it is also one shared not just with media people but with politicians too. Again, it’s not because they’re thick but because they have a common outlook underpinned by an economy of how media people need to do media things. What last night’s result has done is bust it wide open. They will settle on some explanation – young people, May’s missteps and u-turns, the weather – before it closes up again and returns to its recursive ways. What they won’t consider is what actually happened: the political mobilisation of a rising class of working people, of the networked worker overcoming its atomisation and making its presence felt through the Labour Party. And because they don’t know, let alone understand this composition of a new constituency of people, they are likely to get caught on the hop time and time again. What does the general election mean for the NHS? The journalists and pundits aren’t plugged into social media – they hate it because they see it as a threat to their livelihood. People under the age of 35 get their news from social media not newspapers or tv/radio. After their disappointing performance in the 2010 general election, the Conservatives learned from that experience, By contrast Labour congratulated itself on getting a 1992 seat share on a 1983 vote share (the late Philip Gould). So when it came to the 2015 election, the Conservative Party campaign was far superior to that of the Labour Party. At this election, the Labour Party seemed to have learned from the 2015 election result. 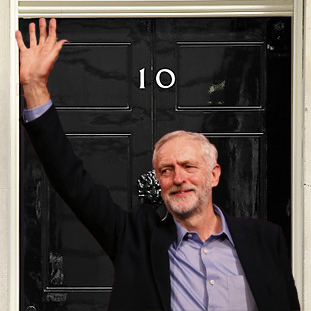 Next time, Labour must assume that the Conservatives will have learned from their disappointing result this time. The Conservative foray into Labour seats was very unsuccessful. It only gained 5. But the diversion of resources probably lost it more seats than that. It is always a gamble to spread your resources too thinly. The growing membership means that money is unlikely to be a problem for Labour and the number of activists should help too. But again, it is important not to spread the effort to thinly.